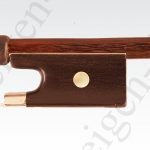 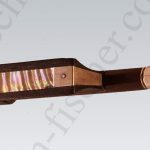 German Violin Bow by Franz Albert Nuernberger Junior (1854-1931) from around 1900. 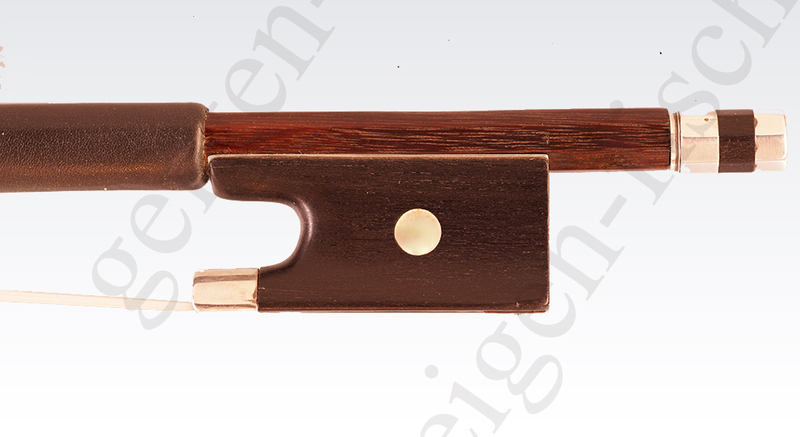 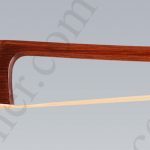 This octogon-edged bow by Nurnberger was made for the known violin maker Eugen Gaertner of Stuttgart (1864-1944), whose name is imprinted on the bow. 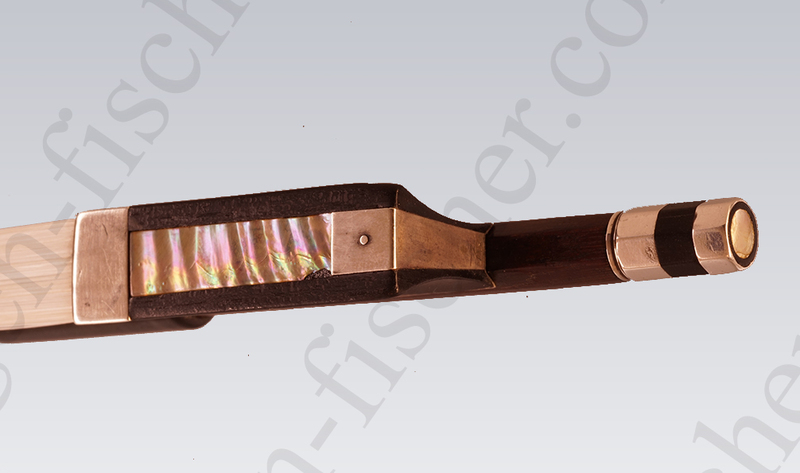 The strong stick has a light silver-mount and weighs just under 60 grammes. 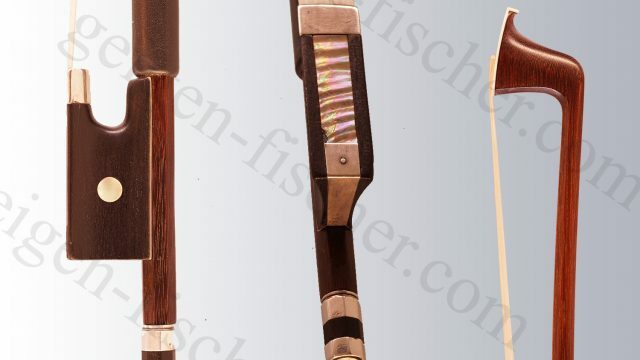 This is a very interesting bow from Albert Nuernberger in very good condition.